A former corporate gal turned passionate entrepreneur, love and dating coach for women, unshakeable believer in all things spiritual and divine, a philanthropist, healthy living advocate and sometimes writer … who is dedicated to helping you become the woman you most want to be, to embody your Feminine Genius so you attract a masculine man, your soulmate, and have long lasting love and support each in your dreams. I refer to myself as a Feminine Genius + Love & Dating Coach for women over 40. I believe dreams can be real, love can happen more than once, in stepping out of your comfort zone, playing bigger, letting go of the crap, taking a stand for others, being a woman of integrity and owning your feminine genius. Each of us has divinely given value which is why we are here. And most of us don’t want to do our greatness alone. Not only has the Dalai Lama called for us (women) to step up and own our greatness as the entire world is evolving toward our innate feminine genius and how it is needed on a global scale. Now, with that said…it’s important for us to understand as women that the change in our society with the feminine evolution can be confusing in our relationship dynamics. How we date is changing and how we move into our desired partnership so it will sustain and not be just another divorce statistic. As we awaken our feminine we want to be with a man who supports our life endeavors as we do his. I I decided to become an expert in the feminine and masculine polarity dynamics and help women over 40 to navigate the love and dating stages of this modern day paradigm. Teresa Salhi is the founder of Empower The Dream and Feminine Genius + Love Coach for women seeking to meet a quality man, her soulmate, for long lasting love and partnership. Professional Bio: Teresa Salhi is a feminine mastery love, dating and relationship coach for women, certified law of attraction trainer, in the documentary Kumare’, the False Prophet, a Thrive Global contributor and published author in 365 Moments of Grace anthology book. Teresa left her 15-year successful corporate career with teams and clients worldwide to pursue her passion helping women close the gap from where they are to where they really want to be with their soulmate. She is the founder of Empower The Dream; providing women much needed resources, inspiration and a deeper understanding of the masculine and feminine dynamics that naturally create chemistry even though our society is now steering women to be more masculine but it is unbeknownst to them. Mission: To inspire you to confidently move toward your dreams regardless of what may have hurt your heart in the past. As you heal and grow, you see that you are not done yet and have more love to give and receive. Isn’t that what it’s really all about? In 2012, I left a high-powered successful 15-year corporate career. I knew I wanted, NEEDED, something more. I decided to reinvent myself as an entrepreneur, love coach, mentor and guide for women. I also traveled to many special parts of the world and met my beloved Riad in Tunisia, Africa; we now reside in Phoenix, Arizona. My intention is to guide your life and love transitions into personal transformations, provide trustworthy support, real-life inspiration, and the perfect dating and relationship strategies that will put you in his arms and make your life a reflection of your most authentic self. You get to define what your ideal love partnership looks like. My job is to help you make it happen. The journey may be crazy at times but forever rewarding. My precious work as a love and dating coach for women is delivered through group programs, digital courses, and high-level one-on-one coaching + VIP days and always focused on helping you reach your highest potential in love and life. From the Feminine Way – Manifest the Life Your Really Want to The Feminine Art of Manifesting Big Love, to private coaching and signature work, Awakened Love, so you can advance quicker and cultivate your Feminine Genius as your prepare for the new love you are calling into your life in the next 90 days – yes that can happen and that is the focus of private coaching. 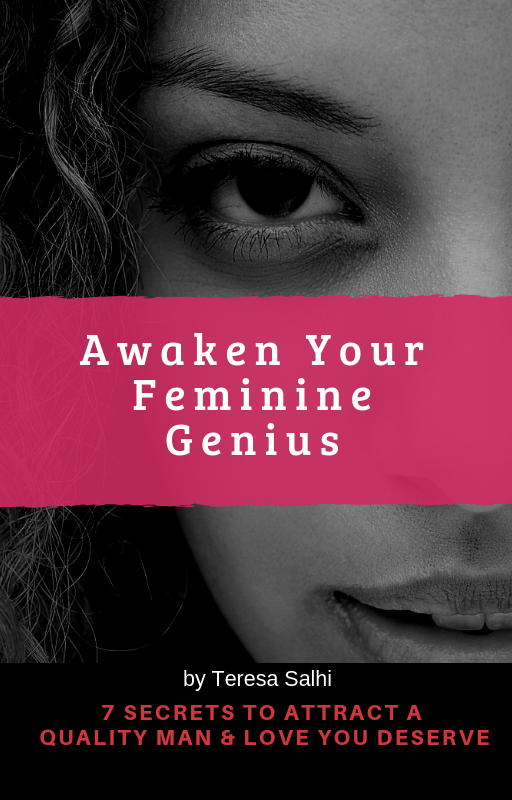 I am excited to support you on your journey to authentic love and embracing the core genius within your feminine divineness. As you gain the deeper clarity on who you are, what you want, and how you will get it with more ease than ever before. Whether you are recently single, have always been single, divorced or in that place where life and love is no longer expressed the you deserve and desire – change is possible. Call it reinvention, transformation or the cultivation of who you are from the core feminine. Cultivate your love within, prepare for you love with him and call in the one who will be your forever partner. You deserve it and so does he. Ready?